A new TV show dedicated to helping divorcing couples and their children stay sane during times of insanity, without becoming emotionally and financially bankrupt. Over fifty percent of today’s marriages end in divorce. For one reason or another, we fall out of love and this can be devastating to the family. It rocks us to our core and some say divorce is harder to recover from than the death of a loved one, even if you are the one initiating the divorce. Each and every one of us has either been divorced or knows someone personally that has been divorced. The stress affects not only the couple, but their children, immediate family members and friends. Sides are chosen and the battle is on! Most couples are left with little money after paying court costs and attorney fees, and the daunting task of rebuilding their emotional, physical and spiritual lives on their own. The biggest losers…the children. In a typical divorce, the overwhelming response is that nobody wins except the lawyers. Until now. 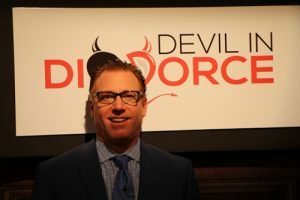 The Devil in Divorce, a new TV show created by Executive Producer, Jack Namer, is designed to shine the spotlight on the dysfunctional court system and to open up a dialogue that creates an atmosphere of compassion, understanding and moving forward with love for our family. 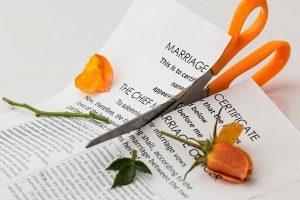 When in the midst of a contemptuous divorce, this seems impossible, but no one who has ever gone through the court system and gotten a divorce has ever come out unscathed…except for the lawyers. The Devil in Divorce is equal parts educational and entertainment. Our charismatic hosts and expert guests will empower viewers with knowledge to efficiently deal with the desolation of their marriage while keeping their spirit and soul in tact. Presenting material through panelist discussion, real-life case re-enactments, the show’s pace will be lively and engaging, revealing what happens in the process of divorce prior to getting to Divorce Court. 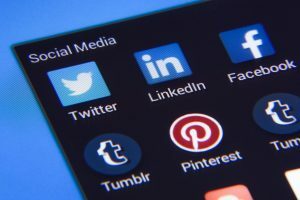 Social media will play a key part of the success of Devil in Divorce. Viewers will be empowered to share their own stories of divorce, upload video questions, tweet the hosts, and share support with each other. 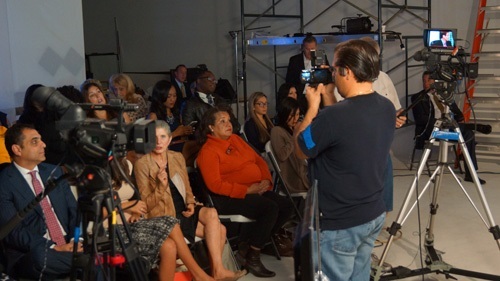 Live Audience will encourage viewers to appear on the show and drive social media to topics. Devil in Divorce will foster a sense of community with men and women going through one of the most traumatic events in their lives. 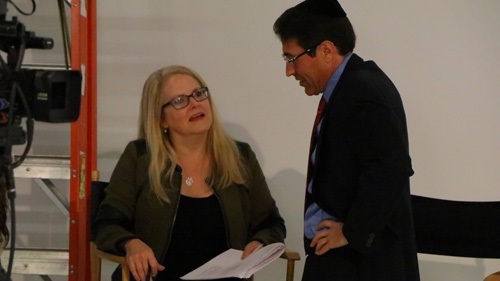 Panelist/Co-Host: M. Gary Neuman, the Children’s Advocate, is a New York Times best-selling a psychotherapist, rabbi, and author of seven books on the topics of marriage and divorce. He is creator of the internationally renowned Sandcastles Program, a group experience helping more than 300,000 children internationally. The program is now mandated in many divorce courts. He also created the Neuman Method’s Creating Your Best Marriage video program. He has appeared over 50 times on the Today show, a dozen times on the Oprah Winfrey show as well as on NBC Dateline, the Katie Couric show, Steve Harvey, NPR, GMA NBC Nightly News and the View. Gary and his work have been featured in People, Time, Parents, Parenting, Cosmo, Redbook, Oprah as well as in newspapers including Chicago Tribune, Los Angeles times, Miami Herald, and Wall Street journal. 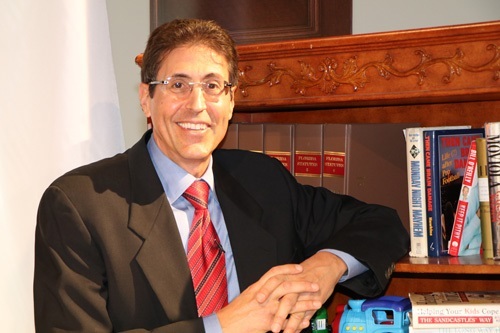 A licensed family counselor and rabbi, Supreme-Court certified mediator, Gary founded a nationwide divorce therapy program for children and author of “The Truth About Cheating”, and “Helping Your Kids Cope with Divorce the Sandcastle Way”. Oprah Winfrey said, “One of the best psychotherapists in the world” during her most memorable guests episode. Gary will be on our panel and also work with family issues Live. Panelist/Co-Host: Adam B Swickle, Esquire, is a partner at Swickle & Associates, PLLC, and leads the Family Law and Criminal Defense Departments including cases involving paternity Actions, Divorce matters and Commercial Litigation. He has represented more than 100 professional athletes over the years. Adam has been published numerous times on family law issues and has authored various articles for The Daily Business Review, Aventura Moves Magazines, The Miami-Herald, The Sun-Sentinel, Jet-Set Magazine, and The Family Law Commentator, a high-end quarterly publication for attorneys and judges. He has appeared on countless radio shows and in print media pieces discussing his work with professional athletes. Adam was recognized in the Who’s Who of Attorney’s and is a previous member of Strathmore’s Who’s Who, comprehensive database and registry of business leaders and professionals. Adam is a former host of “The Talking Divorce Show”, a weekly radio talk show dedicated to family law issues. He frequently appears as a Legal Analyst on local and national television programs including CNN, Fox News Network, In Session on truTV and Good Morning America. He is member of the Broward County Bar Association and is licensed to practice law in Florida and is admitted to the Florida Supreme Court and the Sothern District Court of Florida. Expert/Panel Guest: Robert W. Crispin, is a former Federal Task Force Officer assigned to the United States Department of Justice (DOJ), Drugs Enforcement Administration (DEA), Miami Field Division (MFD) and South Florida law enforcement Police Detective. His is the CEO of Crispin Special Investigations, Inc. located in South Florida. His services include surveillance for infidelity, divorce, family, criminal and civil cases; conducting background checks financial, insurance fraud, and workers compensation investigations. Robert has been qualified in federal court as an expert witness in and for the Southern District of Florida. Robert will appear as needed as a panelist on segments of Devil In Divorce, which discuss Dead Beat Dads and Monster Moms. Robert will go undercover to expose divorcees that try to hide, lie and manipulate the system by not complying with their divorce orders. He will utilize “Real Time” Global Positioning Satellite (GPS) tracking of vehicles, and people. 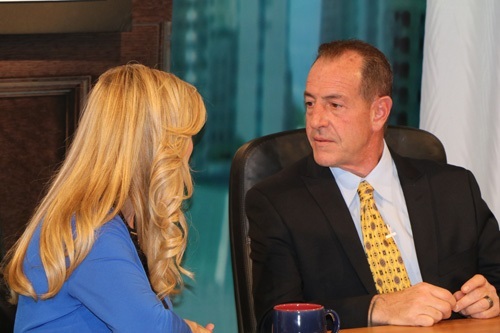 Robert has appeared on numerous talk shows and will work with viewers to expose former spouses and then reveal his findings live on the air in front of the viewer for the first time. America’s dead beats better watch out because Robert Crispin on Devil in Divorce will be watching and recording and uncovering their secrets and lies. • SUSTAINED OR OVERRULED: When going through a divorce, you quickly recognize your future lies in the hands of your lawyer and how fiercely they advocate for your interests. The panel for the premier episode would be lawyers with vastly different takes on the process and how they advise their clients. Our discussion will be a typical couple going through a breakup. We watch them go through an antagonistic divorce, arbitration, and compare the differences between the two. • CELEBRITY DIVORCE: We consume the headlines with voracious appetites, but what really happens when a celebrity couple divorces? We will re-enact a famous celebrity divorce with the actual couple recreating their roles. Panel guests will include a celebrity gossip columnist to share famous divorces, a therapist explaining the effects of watching celebrity marriages implode, as well as famous divorce attorneys to share details from some of their cases. • DEAD BEAT DADS AND MOMS: When going through a divorce, you quickly recognize your future lies in the hands of the Judge’s “Decision and Order” for child support and maintenance. How many times have you heard the story about the spouse that quit their career to stay home and raise the children? Once divorced, the court expects that same parent should be able to automatically get a good paying job even though they have been years out of the workforce! The spouse that maintained their job and controlled the family finances has all the power to pay for the best legal counsel. What if that spouse has hidden assets? What if they refuse to abide by court ordered financial support? Who helps the non-earning parent force the dead-beat dad or mom to pay their fare share? Devil In Divorce will uncover dead beats and expose their story on the air. Like Robin Hood, we will help the poor parent get the money they need to support fight the system and support their children. • DIVORCE AND YOUR CHILDREN: Our re-enactment spotlight this week is on the divorce of a family with four children, ages ranging from six to sixteen. The experts will include a family therapist who explains the best way to rebuild your family life, a psychiatrist who focuses on the least destructive way to break the news to your children, and a financial expert who can provide tips on how to handle everything from college funds to allowances. • SUPERHERO LAWYERS: This episode focuses on the heroes in the Divorce world. We will profile lawyers who go above and beyond for their clients. Our panel of experts will feature notable names from the legal world, who are known to advocate for their clients far beyond anyone’s expectation or experience. The re-enactment will feature one divorce where the lawyers’ work was so extraordinary the family ended up being stronger in the outcome. • BILLABLE HOURS: Every action, conversation and even mental exercise your client embarks on your behalf falls under the term “billable hours. We will discuss how lawyers pad their hours, double bill time to clients and drive billable time to clients by forcing controversy and creating adversarial nasty antics between spouses. These attorneys will go to all lengths to get as much money from their clients as possible. We will have a re-enactment of two divorces where the couple runs through the process of meeting and clock time. • BEST OF THE BUNCH: What makes a great lawyer? How do you pick the guardian who will tirelessly work on your behalf? How do you know when you meet with a potential lawyer that this one is the best of the bunch? Our expert panel discuss the warning signs you should look for when choosing a guardian for yours and your family’s future. The re-enactment will be a secret camera as a man goes to interview potential divorce attorneys to pick their guardian and the panel will then review the lawyers he met with. 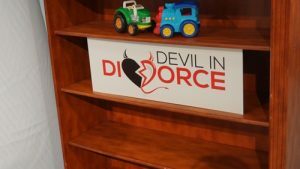 The Devil In Divorce will tackle difficult divorce topics during each episode. Celebrity Divorce gossip, live audience questions and social media discussions will elicit viewer participation. Viewers will participate in the discussion via social media questions and may be called in to join the panelists on-air for discussion. At-home viewer divorce stories may be analyzed or re-enacted and then discussed by our experts. Each show will leave the viewer with new tools and information that can help save their marriage or teach them how to obtain a healthier divorce. EXECUTIVE PRODUCER, Co-Founder, and Chief Executive Officer, at Eye On Media Network, Inc. Mr. Namer was responsible for the development from inception of a concept for the real-time broadcast quality delivery via the Internet and all existing smart devices. 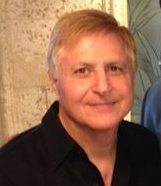 He serves as an Executive Producer of Eye On South Florida at Eye On Media Network, Inc. He is engaged in arranging and delivering low-power television transmission of current events for non-profit entities and organizations. He is visionary Entrepreneur with over 20 years’ experience building, developing and managing innovative Telecommunications and Internet Technology companies. 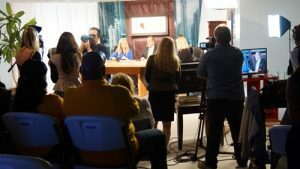 With Jack’s development of Eye On South Florida (EOSF) TELEVISION Network, he ventures into the realization of his ultimate vision, a multi-media channel Network with, fresh, fun and focused programming for global reach. The Devil In Divorce is his brainchild, and was inspired by his own experience navigating through the Florida Divorce system . DIRECTOR: Duke Struck is a 14 time National Emmy Award-winning director and industry leader. He has produced and/or directed thousands of major television programs in entertainment, news and sports. Entertainment programs directed by Duke include; The Oprah Winfrey Show, ABC’s Politically Incorrect, Good Morning America, The CBS late show, Overtime with Pat O’Brien, Coca Cola’s Big TV: Back Stage at The Super Bowl, 7 Super Bowls to 4 World Series and 14 NCAA Final Fours. He created the highly regarded McNeil-Lehrer Report, town meetings with Ted Koppel, Weekly World News on TV, Fox Broadcasting’s New Year’s Eve Specials. Additionally, Duke directed several major news events including the Watergate Hearings, The return of the Iran hostages, Presidential inaugurations, political conventions, and space launches and returns. ABC’s The Home Show, and Britain’s Prince Charles — Lady Diana’s Royal Wedding. Recently he produced and directed UPN’s reality show, I Dare You: The Ultimate Challenge and is the executive producer and director for Dancesport, hosted by Hal Linden, and American Couples and American Families on cable television. Duke will bring his unique Emmy award winning vision and style to Devil In Divorce. Eye On South Florida (EOSF) is a division of Eye On Media Network (EOMN) a public company. EOSF provides media coverage, production services and media distribution locally, nationally and internationally. EOSF’s mission is to help groom the future of communication with less gloom, while helping to promote the beautiful essence of the arts, music, theater, education, lifestyle, tourism, nutrition and all things good that can create generations of successful individuals.